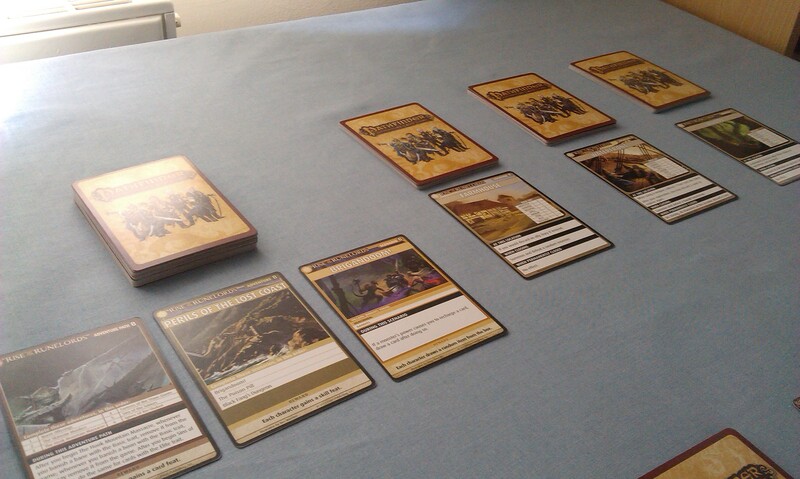 I’m continuing the Pathfinder ACG campaign Rise of the Runelords, and have now gotten to the end of the first scenario, Burnt Offerings. So why not take a look at where we’ve ended up! The scenario is based on the first chapter of Rise of the Runelords RPG, naturally, with five distinct adventures that follow the heroes as they progress through an investigation into increased Goblin raids around the town of Sandpoint. Attack on Sandpoint sees the heroes attempt to defeat Ripnugget and Stickfoot, who appear to be behind the the attacks. After success, the Local Heroes scenario is something of a rest scenario, with a lot of chances for the heroes to gain some allies before heading towards the final games. I mean, that’s probably how it should work, but when I played it this time my necromancer hero, Darago, died on the waterfront! Terrible times. After four months’ mourning, I’ve returned to the campaign with a new hero stepping up to the mark: Seelah, my crusading paladin! It was a deck I’d built up after the loss of Darago, and performed pretty well! The third scenario, Trouble in Sandpoint, sees the heroes going up against the weird demon-thing, Erylium, and her Wrathful Sinspawn. Following this, it’s time to go up against the goblins in their fortress in Approach to Thistletop. I have to say, this scenario was pretty hilarious, following through on the trail of Gogmurt, one of these wonderful goblins that litter the Pathfinder universe. The final scenario in the Burnt Offerings adventure, Thistletop Delve, reveals the real mastermind behind the goblin incursions into Sandpoint, Nualia Tobyn, a cleric of Lamashtu! 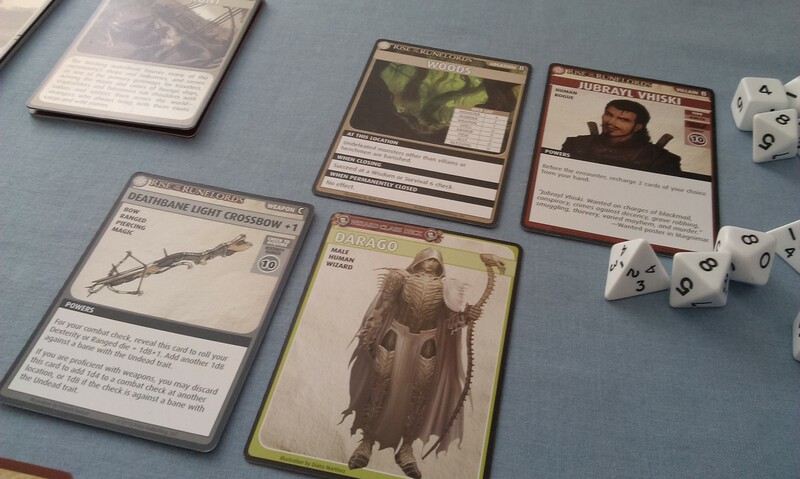 This scenario was also a lot of fun to play through, as Nualia kept cropping up in each of the location decks – like any good bad movie villain, there’s just no keeping her down! So I’m eight scenarios in, and Sajan has claimed the Sihedron Medallion! 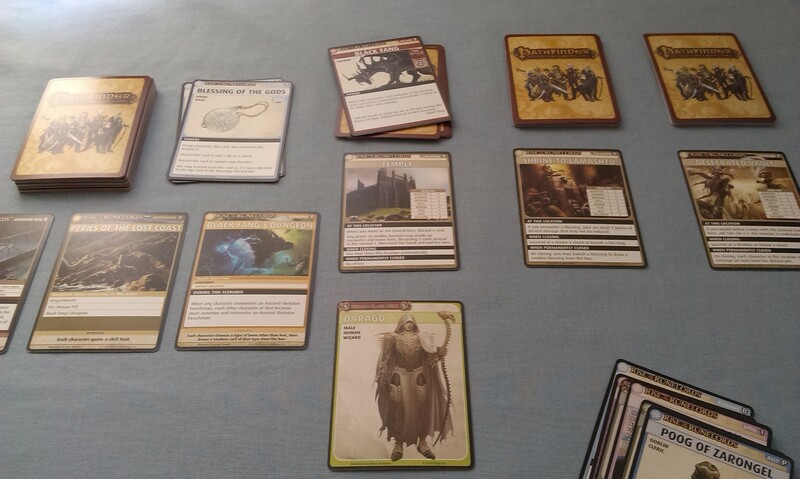 There are a couple of interesting player cards in the pack – mainly some of the arcane spells, which are always a favourite of mine! I currently don’t have a magic user set up, so I’m thinking I might build a new deck to mix things up a little ready for The Skinsaw Murders! 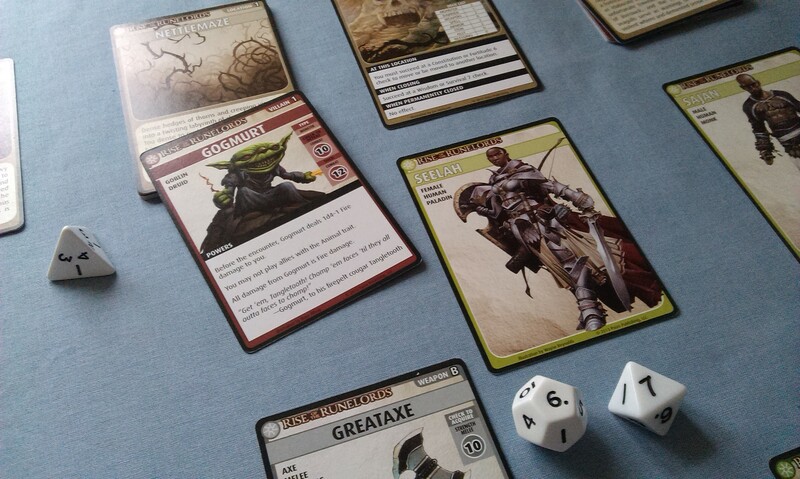 It’s game day here at spalanz.com, and I’m so very excited to present my latest game day blog – it’s the beginning of my Rise of the Runelords adventure path for the Pathfinder Adventure Card Game! This is a game that I have talked about quite a lot, particularly in my early blogs, when the Rise of the Runelords adventure path was still a new thing. 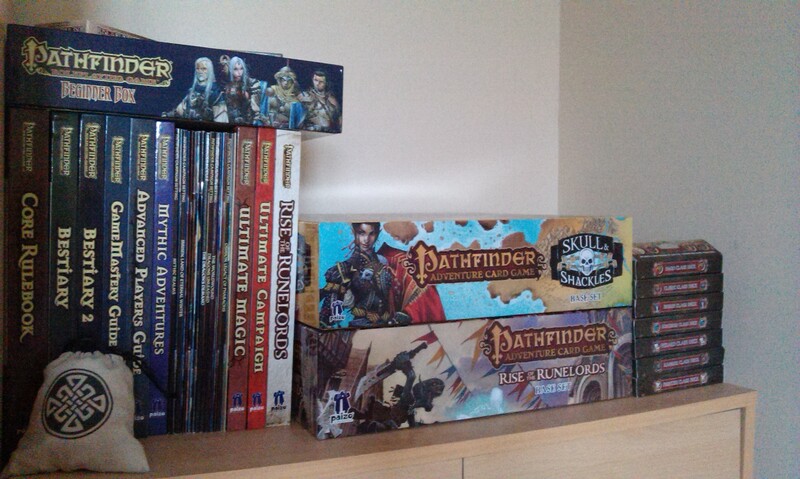 My interest in the Pathfinder setting has waxed and waned somewhat – never waning to nothing, of course, but certainly it was replaced by my love for Warhammer that exploded in the second half of 2014. But it’s a setting that remains close to my heart and, while we wait for one of my favourite aspects of the Pathfinder world to come into the card game, the setting of Osirion, I’ve decided to return to the game and finally work my way through the adventure path in its entirety! My previous experiences with this game have seen a number of characters take on the perils of Sandpoint, but never get further than the first adventure, Burnt Offerings. However, I’m now poised to take two characters on an adventure all the way to the end: Sajan the drunken master, and Darago the necromancer. What a pair of travelling companions! 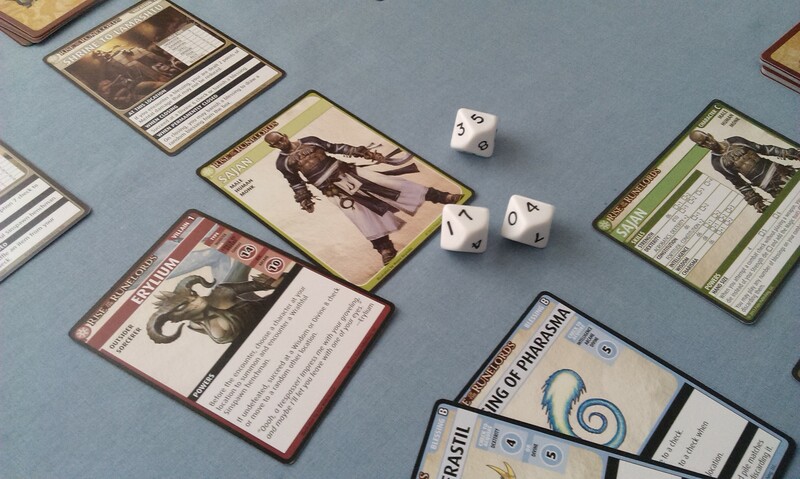 I’ve previously taken Sajan through Burnt Offerings, so over the weekend I took Darago through the initial ‘Perils of the Lost Coast’ scenario. Both of these characters are from the respective Monk and Wizard character packs, which I think is an amazing part of this card game. The base set for each adventure path brings a variety of characters, and each base set has an associated character add-on pack that you can buy for extra heroes and extra cards to bulk out the game. All of these characters represent various archetypes such as barbarian, wizard, and bard, and these archetypes are getting their own class pack that gives new versions for the heroes of that class from the base game, along with two new heroes, and a whole host of new cards that help build up a new character with some really thematic bits and pieces. As an aside, I’ve also discovered that Paizo are going to produce two class packs this summer to support Goblins as playable characters, which I just cannot wait for! 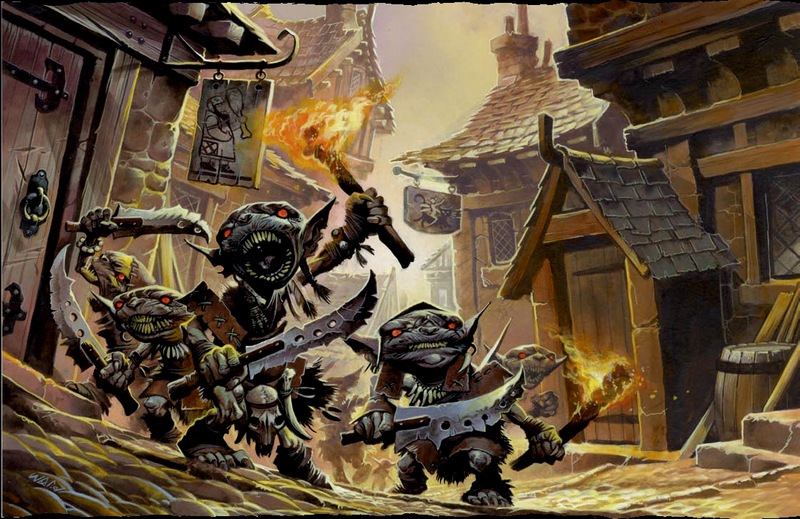 Pathfinder goblins are similar to those from Warhammer, I feel, with a crazy kind of hilarity that I can’t wait to explore with these new packs! The Perils of the Lost Coast features three distinct adventures, designed really to get players into the flow of the game before the path begins with Burnt Offerings. It gets us used to the format of exploring locations, fighting monsters and attempting to acquire boons, before fighting both henchmen and the villain himself. 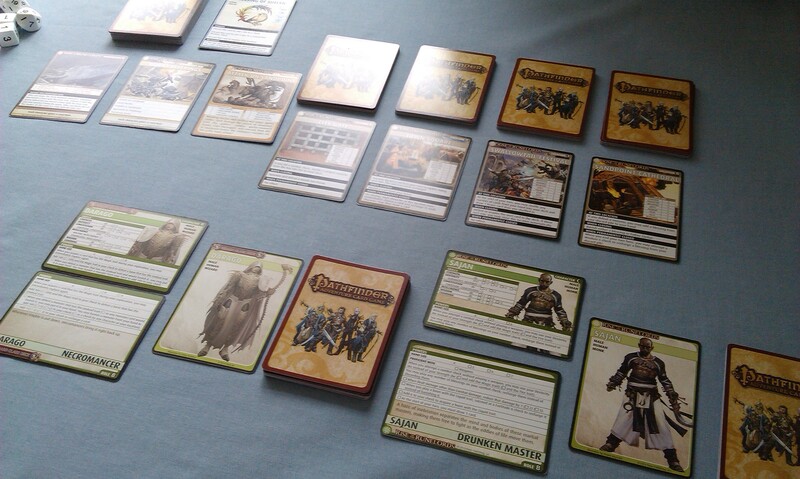 The game is a deck-building adventure game, one that I find kinda fascinating really. You build a basic deck, rather than having the usual kind of basic cards, and then attempt to acquire boons that will allow you to get better cards. At the end of each quest, you must re-set your deck to the quantities of card types listed on your character card, which allows you to get rid of the basic cards and trade-up for something more powerful. Over the course of the three games I played, Darago has managed to acquire the Deathbane Light Crossbow shown above, which I really like, as well as the hilarious Fire Sneeze spell. I can’t wait to get moving with this adventure path – particularly once I get beyond Burnt Offerings and into the ‘new’ packs that I haven’t gotten to explore yet. Exciting times are on the horizon! 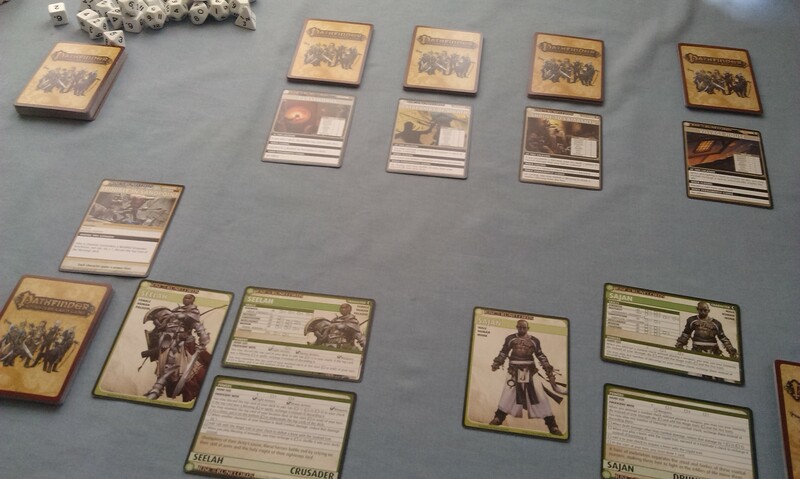 Author spalanzPosted on May 17, 2016 May 16, 2016 Categories board gamesTags card games, game day, Pathfinder, Pathfinder Adventure Card Game, Rise of the RunelordsLeave a comment on On the path to adventure! There has been a lot of games news of late, so let’s get to it! I mentioned this game the other day, but I’m really quite looking forward to this game, it looks like it should be really good! I do enjoy this sort of thing. The app seems a bit gimicky, of course, but even so, it looks like a good premise, and I enjoy a good disaster, so I’m looking forward to it. 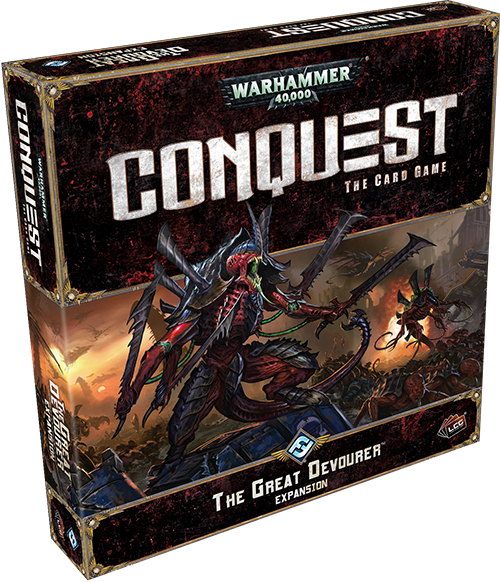 Fantasy Flight have released the rules for the upcoming Warhammer: Conquest LCG, which reinforces my opinion that it seems to be a lot like High Command. That’s not a bad thing, of course, as that is a very good game as well, so I am cautiously looking forward to it. 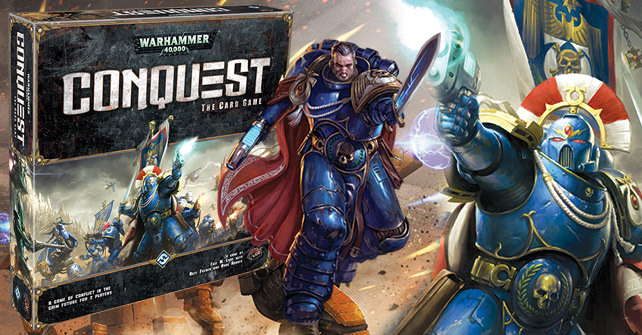 Still not entirely sure just whether I’ll be buying everything for it as much as I do for the others, but then I always say that… Speaking of which, they’ve already previewed the second War Pack for the game! I’m guessing the game will be available from GenCon, which takes place between August 14 and 17 this year. 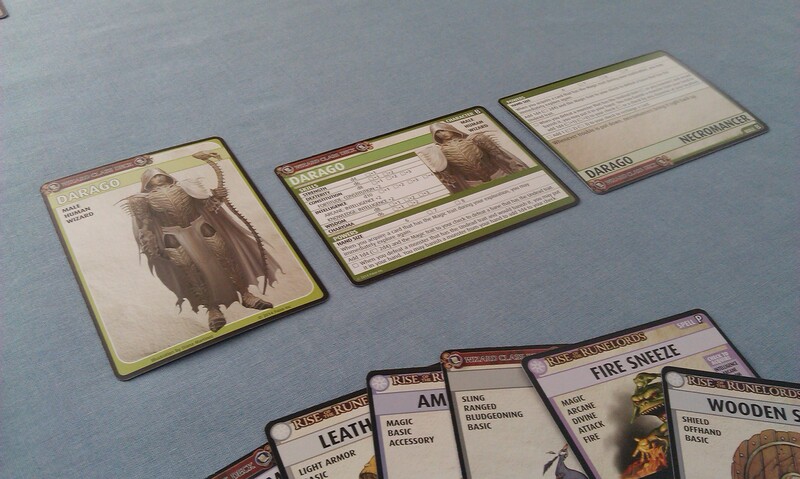 Something that surprised me – in a good way – was a preview of the upcoming Saga Expansion for the Lord of the Rings LCG. There had been some speculation about the identity of the heroes in the expansion – or, at least, the hero – so it was good to see that resolved. I was, however, surprised that it was Gandalf. A neutral hero is going to be a bit difficult to work with, even given Gandalf’s special ability. There are some interesting-looking cards that go along with him, however, so it’s going to be intriguing to see how this all works when it gets released. 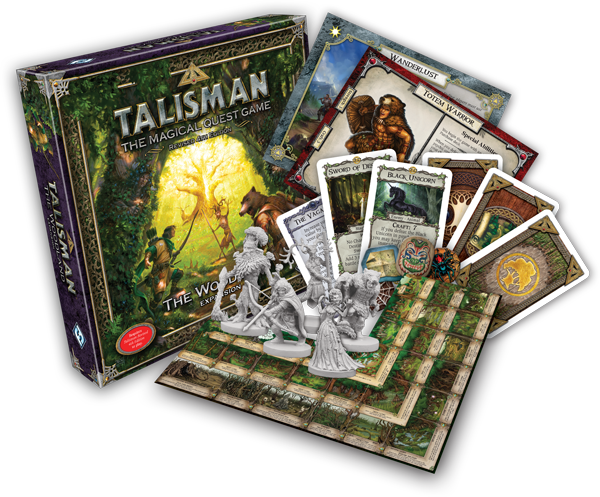 Back to board games now, and Talisman has had another preview of the fourth corner expansion. I’m going to blog about that game in due course, but suffice it to say it’s a wonderful fantasy adventure game, with much more whimsy than, say, Runebound. The game has so far had four large expansions, three of which provide additional boards that are placed at each corner of the main board, and the upcoming Woodland expansion adds in the final corner. There is a touch of fairy-tale-like cuteness in this expansion, but it is a lot more Andersen-like than a true bedtime story. Looking forward to this one! I’ve also had quite a lot of deliveries this week, including a very exciting mini-expansion for Descent: Journeys in the Dark. Another game that has yet to be investigated in my blog, Descent is a wonderful dungeon-crawl game that I rarely get to play because it’s at least a two-player game, but the new mini-expansion Forgotten Souls brings a cooperative element to the game, for one to four players, so I’m planning to give this a look at the weekend. My thoughts will, naturally, make it here in due course! 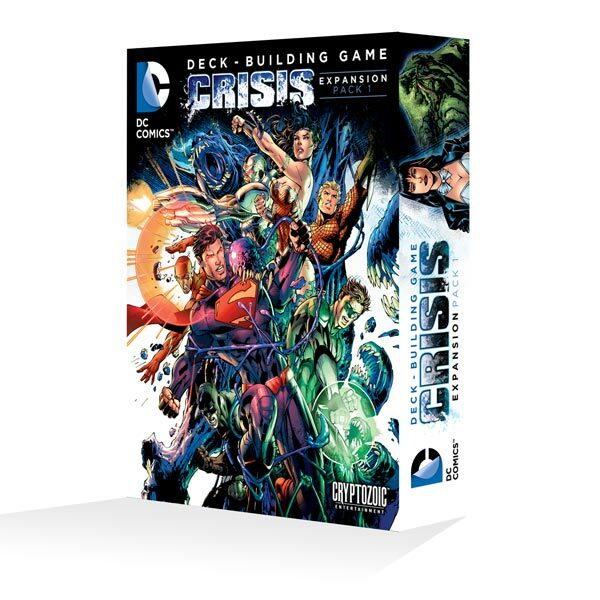 Moving away from Fantasy Flight now, a new expansion for Cryptozoic’s DC Deckbuilding Game has been released this week, the Crisis Expansion Pack 1! I quite like the game, at some point I’ll make a post about it, but it uses the same game engine as the Street Fighter deckbuilding game. 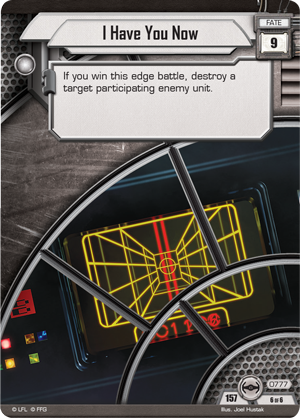 This Crisis expansions introduces a new co-operative game mode, as well as additional cards for the basic game. Hopefully this expansion will make its way across the pond soon enough. 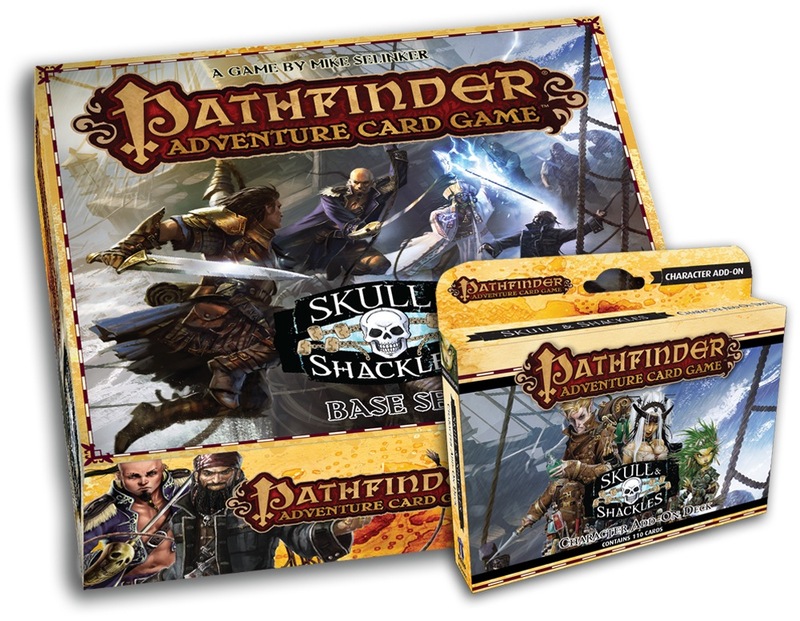 Some interesting news from Paizo was emailed to me the other day, the next Pathfinder Adventure Card Game is going to be on its way soon – the base set for Skull & Shackles! 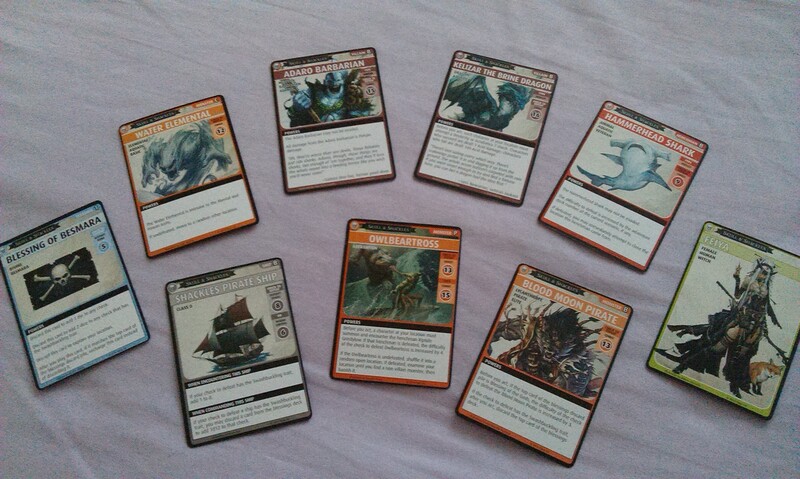 Well, there’s the base set, the character add-on deck, and four promo cards! Quite exciting times ahead for that one, then! From what I gather, we’re going to be seeing a lot more piratical stuff in this one – I know very little else as I still don’t really know my way around Golarion, but anyway, it should be an exciting one! Finally, some kickstarter news. Fallen continues on its merry way through the manufacturing process, and will apparently be finished and on the boat to distribution by the end of next week, so that is very exciting. Draco Magi, which I have not yet mentioned but will definitely blog about once I have it, is virtually complete and should be with me soon, following the kickstarter survey coming out earlier this week. And finally, Shadows of Brimstone has had a pre-GenCon update that has me in a minor froth, although it does disappoint me that the miniatures require assembly. I have, however, made a small leap and bought some modelling stuff to practice with, before I eventually get the game in my hot little hands. So exciting times are definitely afoot! 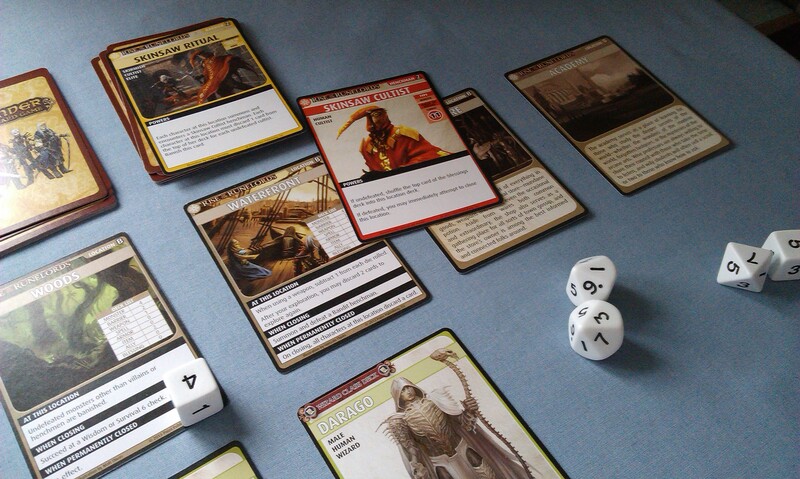 Author spalanzPosted on August 8, 2014 August 8, 2014 Categories board gamesTags board games, card games, DC deck building game, Fallen, Fantasy Flight Games, kickstarter, Pathfinder Adventure Card Game, Shadows of Brimstone, XCOMLeave a comment on Post 99!